Good founders and good ICOs work hard to achieve clarity and demonstrate transparency - we are here to help them, bringing deep experience amplified by technology to enable greater clarity and exposure. We're here to help the good ICO thrive - and help get rid of the scams that make us all look bad. See http://TokenIntelligence.io/redflagsvideo. Barry James and his team (who also founded The Crowdfunding Center) collectively have more than half a century’s experience assessing and nurturing campaigns, entrepreneurs and business ventures of all kinds. Our evidence based, data driven, approach has amassed a data mountain tracking 600,000 campaigns and we’ve harnessed this to help raise around $200Million from more than a million backers. We’ve captured and we analyse the data on the vast majority of ICOs and similarly provide support, data, evidence and tools to all participants in the Token Economy. Barry is an internationally respected author and fintech thought leader. An advisor to the British Blockchain Association on Startups and ICOs, and a weekly contributor to CityAM’s Crypto Insider section via sister site ICOrad.io. 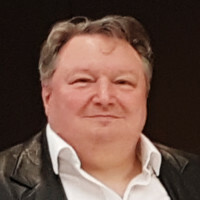 He created & chairs Crowdfunding:Deep Impact, the UK's first annual conference on the subject & founded TheCrowdDataCenter & TheCrowdfundingCenter.